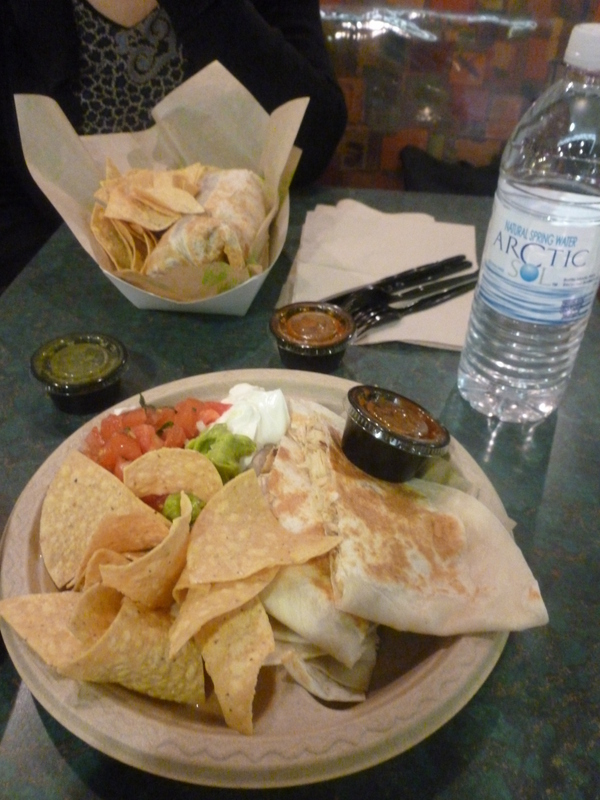 We knew we had arrived in the States when we ordered our first meal at the airport in LA. We laughed at ourselves in our ambitious ordering and quickly learnt that portion sizes here are very different to home. Oh well – it served as both our lunch and dinner that day! Check out our breakfast! 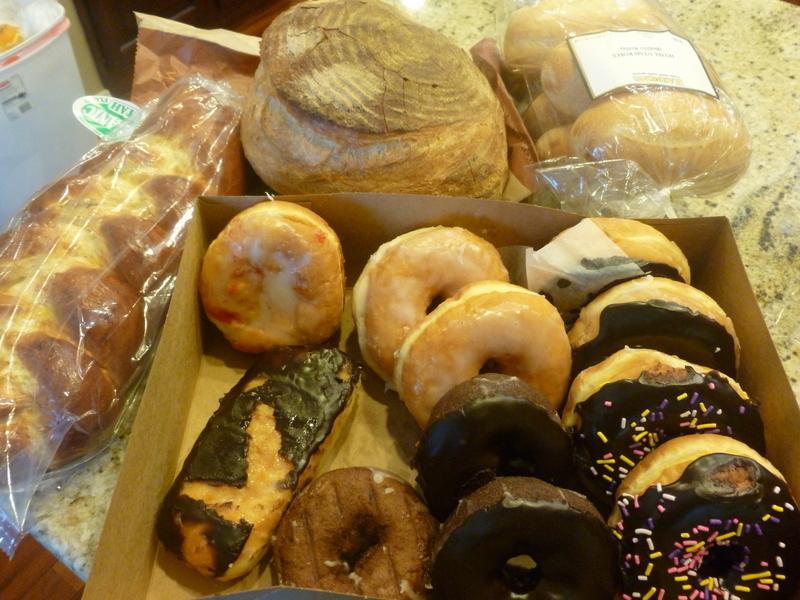 Doughnuts and bread rolls that were just like broetchen….lecker lecker! 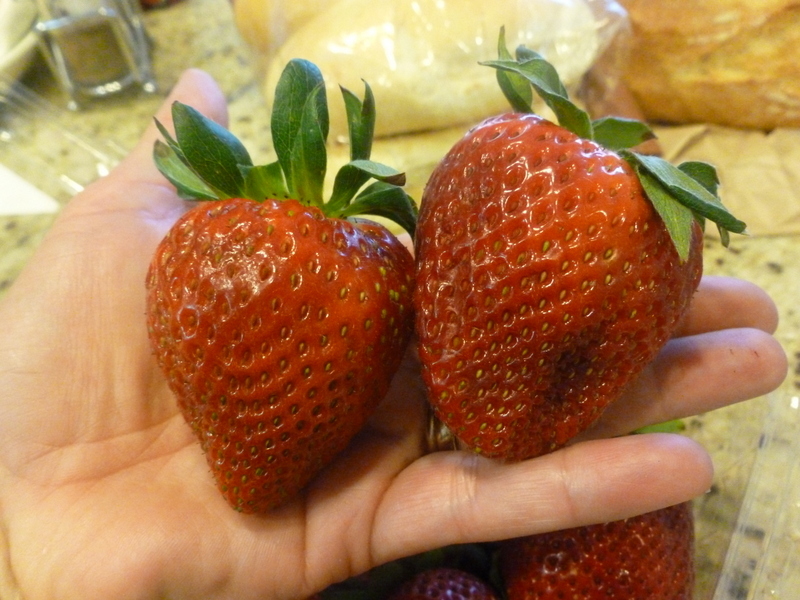 These strawberries are pretty much available year round and come from California. Two of them just fit on the size of my palm! And they were sweet and delicious too….so I was thinking of my Chacha when I devoured these!